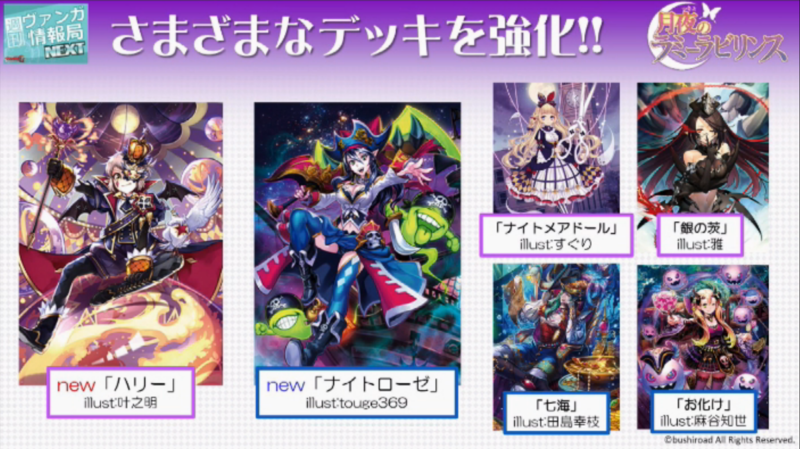 Focusing on new cards for Oracle Think Tank, as well as the general contents of the Rummy Labyrinth pack. Auto (VC) GB2 Oracle: When your Main Phase begins, look at the top card of your Deck, place it on the top or bottom of your Deck. Auto (VC): When your Ride Phase begins, if there’s a face up “Amaterasu” or “Wakahirume” card face-up in your G Zone, you can Soul Charge 1 card. Auto (VC): [Soul Blast 2] During your turn, when your G Unit [Strides], you can pay the cost. If you do so, draw 1 card. Act (RC) GB1 Oracle: [Place this card into the Soul] Counter Charge 1. Auto (RC): [Counter Blast 1 & Place this card into the Soul] When your Unit with the Oracle ability is placed on (RC), if you have 4 or less cards in your hand, you can pay the cost. If you do so, draw 1 card. Auto (VC) Oracle: [Choose 1 face-down card in your G Zone, flip it face-up] When this Unit attacks, you can pay the cost. If you pay it, during that battle, this Unit gains “Auto (VC): When this Unit’s attack hits a Vanguard, draw 2 cards, choose 1 card from your hand, discard it, then Counter Charge 1/Soul Charge 1.”.